Enter Ballina on the Pacific Highway; turn right at the first set of traffic lights to continue along the Pacific Highway (follow signs for the highway and/or for Ballina). Continue along highway for approximately 1-2 minutes; turn left at the third set of traffic lights onto River Street. Continue along River Street for approximately 1-2 minutes and turn right at the 4th round about into Martin Street. Reception is located at the end of this street. Enter Ballina from the Pacific Highway, pass the Big Prawn on the left and continue along the highway until you reach the first set of traffic lights. Continue through the traffic lights along River Street for approximately 1-2 minutes then turn right at the 4th roundabout into Martin Street. Reception is located at the end of this street. 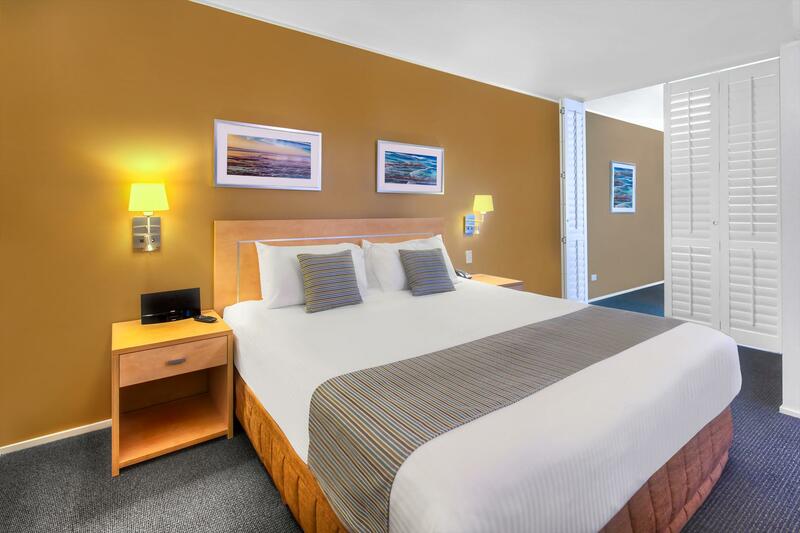 Ramada Hotel and Suites are located in Ballina, the heart of the Northern Rivers, with Byron Bay 25 minutes drive away. 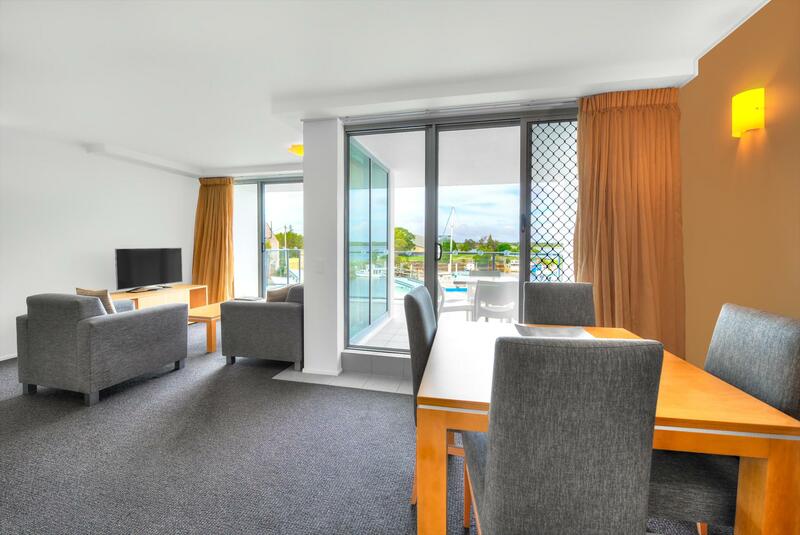 Ballina is a popular destination for business and leisure travellers offering beautiful beaches and waterways, along with a range of activities, restaurants and bars. 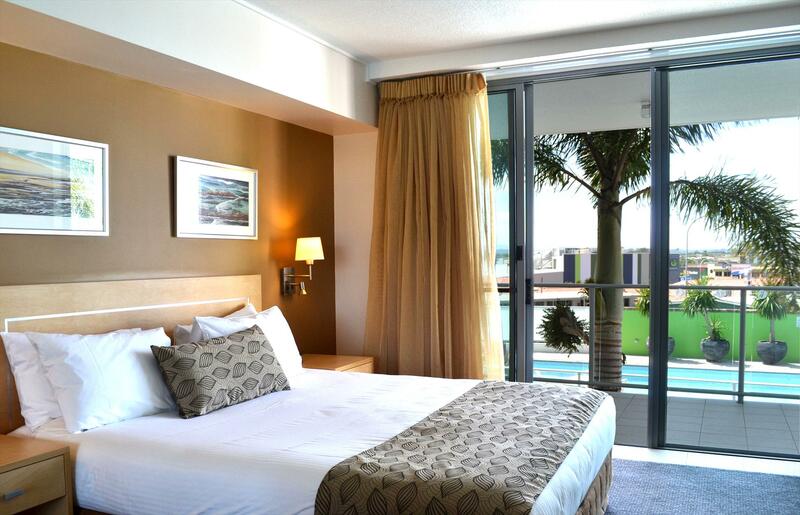 Ramada Hotel and Suite rooms have spectacular river or pool views. 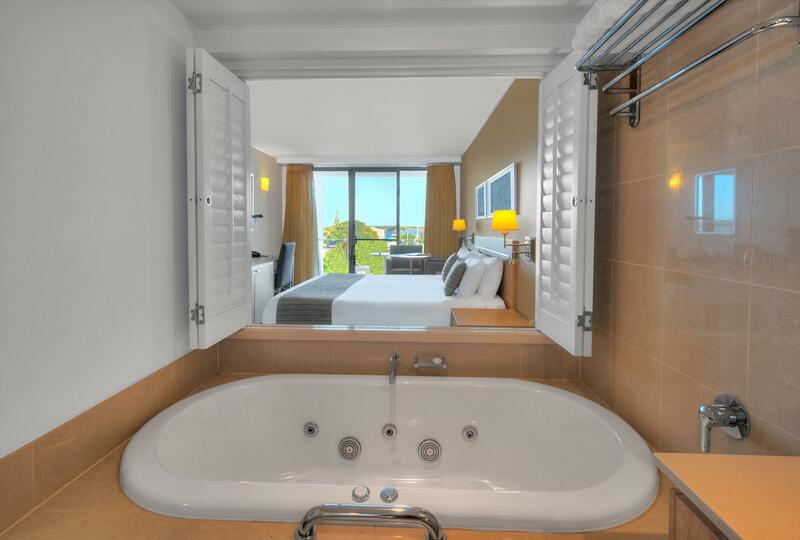 All Hotel Rooms feature spas with shutters opening out to the bedrooms, while the suites have spacious living areas with full kitchen and laundry facilities. The hotel has an outdoor heated pool and in house restaurant and bar open for breakfast, lunch and dinner 7 days a week with room service also available. Ramada Hotel and Suites have a selection of event facilities designed and equipped to ensure the finest eperience, including interactive work areas and great open spaces and settings to ensure relaxation, flexibility and productivity. The Fenwick Room seats 120 theatre style or 100 banquet style and The Ainsworth Room has theatre seating for 40 or 50 banquet style. All the mod cons like wireless broadband and state-of-the-art audiovisual equipment are at your disposal to ensure a seamless transition for all your conference activities. Ramada Hotel and Suites caters for everything you need to make your holiday, conference or meeting relaxing and enjoyable. The coastal township of Ballina is a scenic 25 minutes drive south of Byron Bay along the coast road. 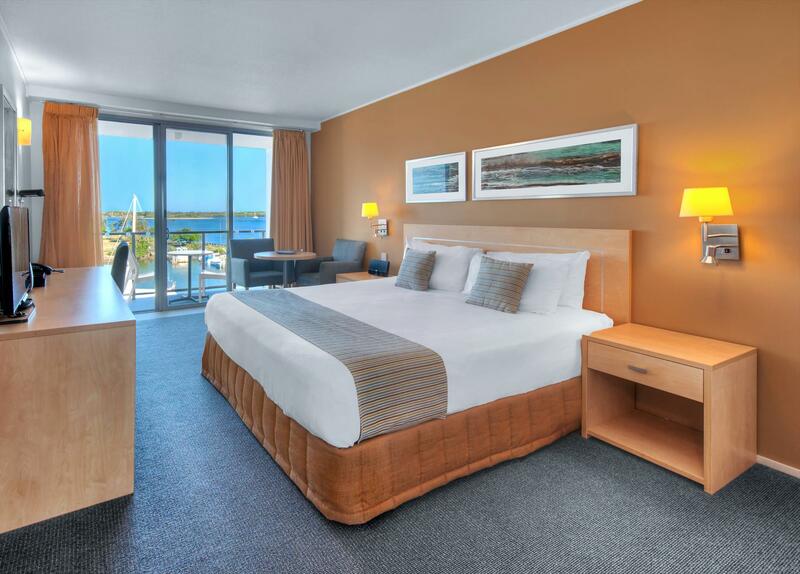 The beautiful beaches and waterways offer swimming, surfing, sailing and kayaking along with the water slide, cinemas, shopping centres are a few activities Ballina offers and abundant choice of cafes and restaurants.. Ramada Hotel and Suites are located a 25 min drive South of Byron Bay.